Home - The Trainer's Advisory Network Ltd.
Give customers what they want. The more they feel you know them, the more they trust and buy from you! Your CRM needs are unique. Custom Training maximizes and accelerates your desired results. Imagine access to a team of CRM experts to leverage and ensure your success. 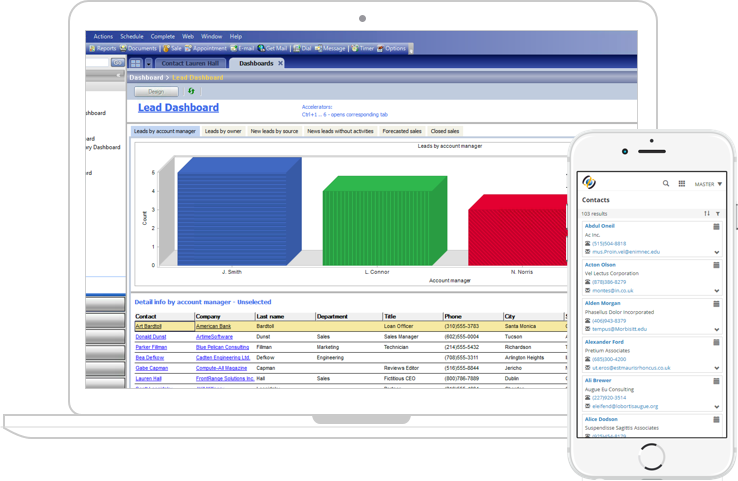 GoldMine Premium, an award-winning CRM solution. Proven and easy to use, GoldMine allows you to focus on building long-lasting customer relationships. Goldmine Premium Edition offers contact management software that is used by organizations of all sizes to manage the sales pipeline, marketing programs and deliver customer support. Own your CRM software. Security, control and no monthly fees. The most affordable long-term solution. Sugar offers the most innovative, flexible and affordable CRM in the market and delivers the best all-around value. 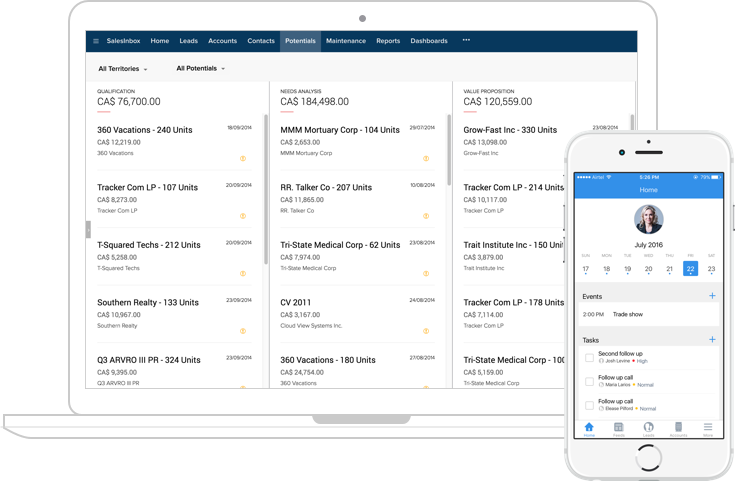 Streamline your organization-wide sales, marketing, customer support, and inventory management functions. Only after we understand your specific needs will you receive a comprehensive and step-by-step blueprint you can implement quickly and easily. Every stage is completed based solely on your needs and unique business processes. Let’s bring your new CRM solution to life! We listen to what you want and provide alternatives. i.e. on your Servers or in the Cloud based on your list of needs, budget, and circumstances. Successful CRM is based on individual and departmental issues and processes being addressed. Therefore, it is important to identify these with a proper needs analysis. 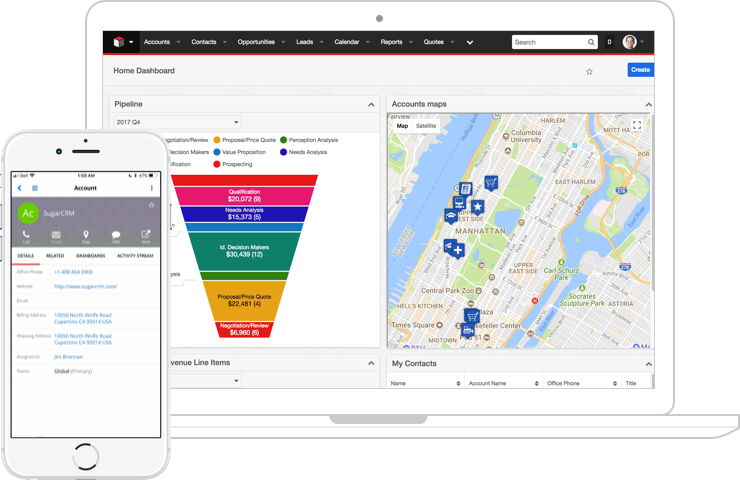 Empower your people with the exact training they need, in all areas of CRM. If requested, MS Office Training is available too. Get the Help you need WHEN you need it. There's a variety of levels of service to suit your requirements. Your needs are unique. Customizations and flexible templates are available and simple for an Administrator to handle. Keep your database secure, clean and accurate. Plus you can develop enhancements for future growth. If individual resists a cohesive team effort including Upper Management, it erodes the effectiveness of your CRM. While Do-It-Yourself is a popular trend, it is rarely successful. It takes experience and expert knowledge to handle unforeseen network and programming hurdles. If you don't clearly understand company objectives, management issues, departmental challenges then it is unlikely you will resolve them. Without proper and professional training, your CRM could become that cliche "a glorified address book". Many companies underestimate their support needs, i.e. rapid growth, new hires and employee churn along with technology upgrades, operating system, and security updates. Whether timelines, budgets, resources, or expectations, a realistic understand avoids wasted time, money and effort. Today’s technology is moving faster and faster and there is no better time than today to schedule training with our experts. Give your users the hands-on training they need to feel confident. User Adoption is what makes a CRM product and Microsoft successful. Getting CRM Training is critical to increasing users’ awareness of features, functions, and usability in order to ensure the highest levels of user adoption with a broad range of training options. While increasing their confidence in working with the system and provide greater efficiencies. Getting trained in Microsoft Office is an advantage in any job market. While most people have a basic proficiency in Microsoft Office, intermediate, advanced or personalized training can increase confidence and efficiency with the Microsoft product family.